Also, a MUST READ, Click here for controller operation and installation info. 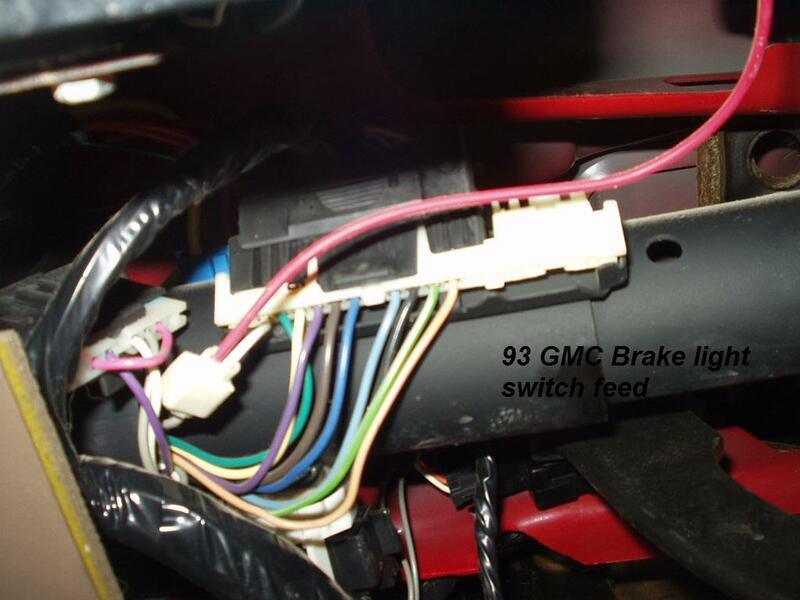 We found the brake light switch tap on the long connector attached to the steering column. It was the white wire, second or third from the end (from the back of the truck) The picture shows looking up from the floorboard. For power, we ran a wire through the firewall, and tapped onto the fuse panel under the hood. We used a 30 amp fuse to power the brake controller, AND supply power to the 12 Volt power terminal on the trailer plug. 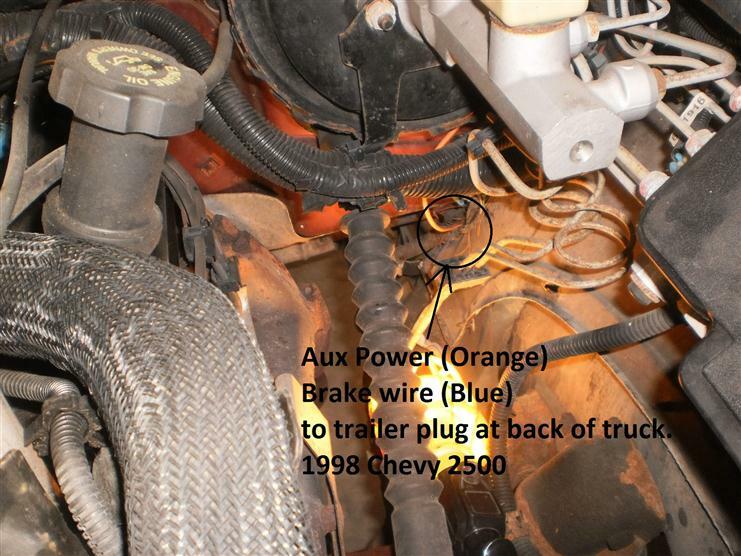 This truck did not have wire ran to the back, so we used our 2 conductor brake wireand ran it ourself. 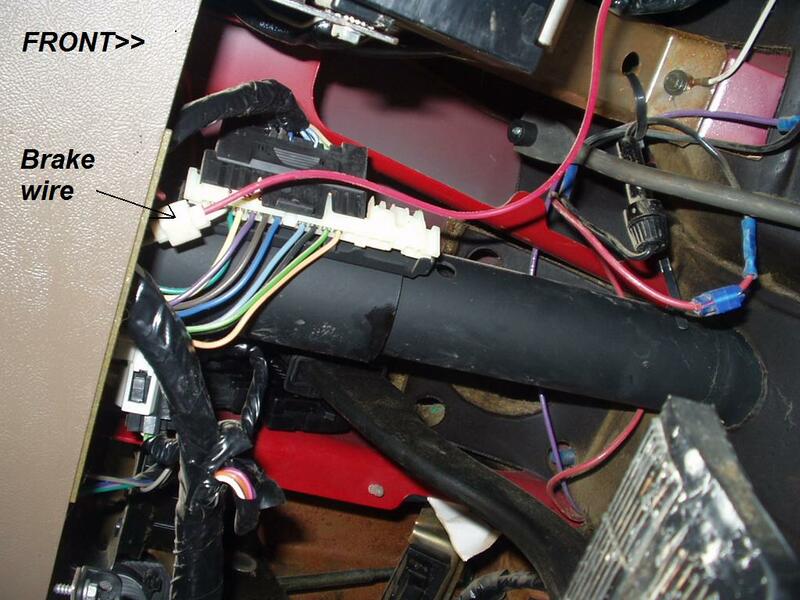 Drilled a small 3/8" hole in a rubber plug in the fire wall to run the wire to the brake controller under the dash.